At the beginning of the new semester, there are always plenty of opportunities available to get involved. 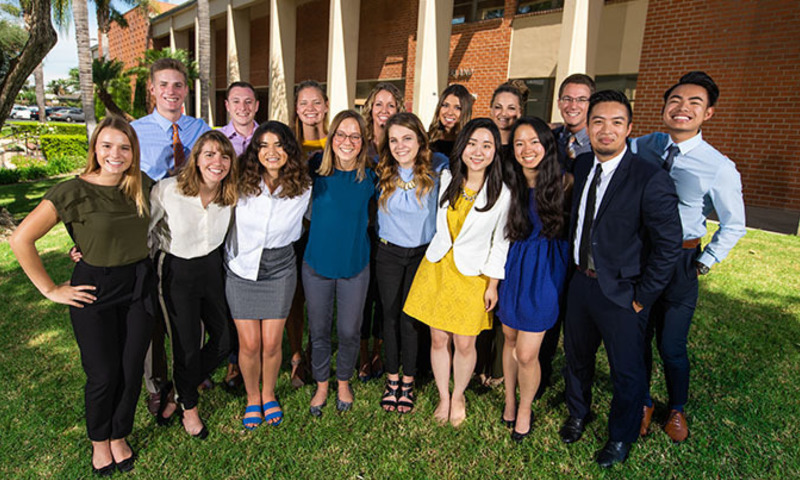 One way to get involved in the new year is to apply for a student leadership position – positions which not only help you find community on campus but also are a great way to prepare for your future career. Here are three helpful tips to navigate these exciting opportunities. Students’ schedules are busy. Fitting another thing into your schedule can feel impossible; however, according to the 2019 NACE Job Outlook survey, when employers were asked what they look for in a new college graduates, four out of the top five considerations relate to job, internship and leadership experience. Many skills and qualities employers seek are only learned through experience. Ingrid Prichard, a student leader on campus, knows first hand what kind of experience comes from a student leadership position. In the midst of writing essays, taking tests and spending time with friends, it is important to remember that experience outside of the classroom has a significant impact on the transition from college to career. Holding a student leadership position is an investment that will translate well into life after college. “My job as a PIA has already prepared me a lot for the working world,” said Elena Jones, Peer Internship Ambassador. Like applying for any position, it is important that a resume, cover letter and application for a student leadership position make a great first impression with the hiring manager. Use this opportunity to showcase your finest attributes that relate to the position you are applying for. This means doing more than plugging your information into a resume template. Whether you are writing a resume for the first time or have several versions, consider having it reviewed by one of the Peer Internship Advisors in the Career Center who have the skills and passion to help you succeed. After filling out an application, it’s time to prepare for the interview. In the interview, it is important to share about your strengths and how they have enriched your experience. In order to anticipate some of the interview questions and better articulate your answers, imagine what it will be like in the position you are applying for and what you would do in the different scenarios you may face each day. Also, be ready with questions to ask the interviewer to show your interest in the position. If all else fails remember this: The person interviewing you wants you to do well. The interviewer wants to fill this position with a great candidate, so take a deep breath. You might also consider attending the workshop that Student Development and the Career Center are co-hosting on applying for student leadership. 3. If you Want it, Go for it! It is best to apply for jobs that interest you as well as ones that may stretch you and challenge you. For example, if an organization you want to work for has a boring position available that looks easily attainable, and an exciting position available that you may have no experience in, apply for the exciting one. You might end up landing the more exciting job and gaining great experience. You never know if the door will open for you unless you knock. Many students are pleasantly surprised by how much they grow and genuinely enjoy their work in student leader positions. Many on-campus jobs and leadership opportunities are posted on Handshake. So, take advantage of the new year and see what it might bring by considering applying for a student leadership position.